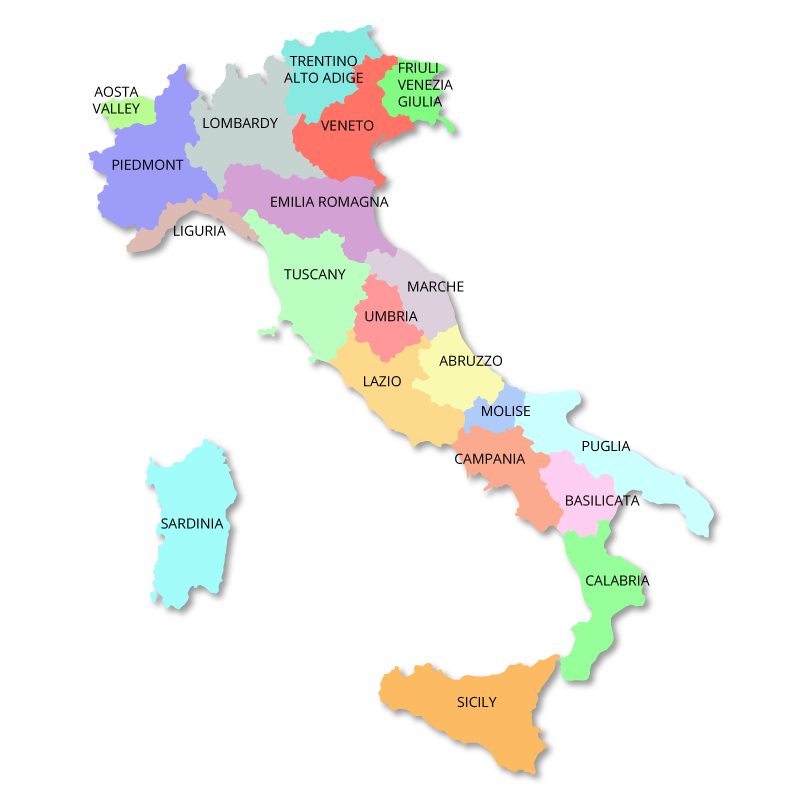 Italy is mostly mountainous with ranges over 700 metres covering a third of the country. 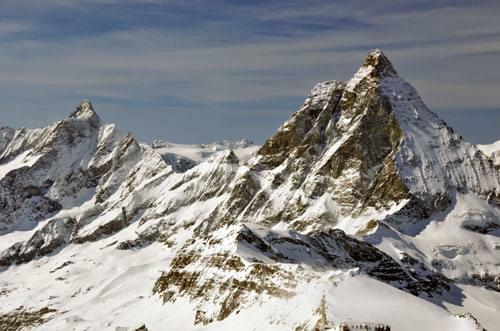 The best known ranges are the Alps, the Dolomites and the Appenines. The Italian Alps are divided into three main groups. The first group, the Western Alps run north to south from Aosta to the Cadibona Pass, with the highest peaks of Mount Viso 3,841 metres and Gran Paradiso 4,061 metres which is regarded as the highest mountain completely within Italy. The second group, the Central Alps run west to east from the Western Alps to the Brenner Pass, leading into Austria and the Trentino - Alto Adige valley. This group also has high peaks, such as Monte Bianco (Mont Blanc) with a summit of 4,807 metres just over the border in France, Monte Cervino (Matterhorn) 4,478 metres, Monte Rosa with a summit of 4,634 metres just over the border in Switzerland, and Mount Ortles 3,905 metres. The last group, the Eastern Alps run west to east from the Brenner Pass to Trieste and include the Dolomites and Mount Marmolada 3,343 metres. The Italian foothills of the Alps, which reach no higher than 2,500 metres, lie between these great ranges and the Po valley. The Apennines form the backbone of the country running down the full length of the Italian peninsula from the Cadibona Pass to the tip of Calabria, continuing onto the island of Sicily. The range is about 2,000 kilometres long. Although narrow at each end, only about 32 kilometres wide, it is about 190 kilometres wide in the Central Apennines, east of Rome, where the "Great Rock of Italy" (Gran Sasso d'Italia) provides the highest Apennine peak at 2,912 metres. This area also includes the only glacier in Italy, Calderone, the southernmost in Europe. Between the Alps and the Appenines lies the Padan Plain. This is drained by the longest river of Italy, the Po, stretching for 652 kilometres eastward from the Cottian Alps to the Adriatic. Plains cover less than a quarter of the total area of Italy, and the Padan Plain is the most extensive and important in Italy. 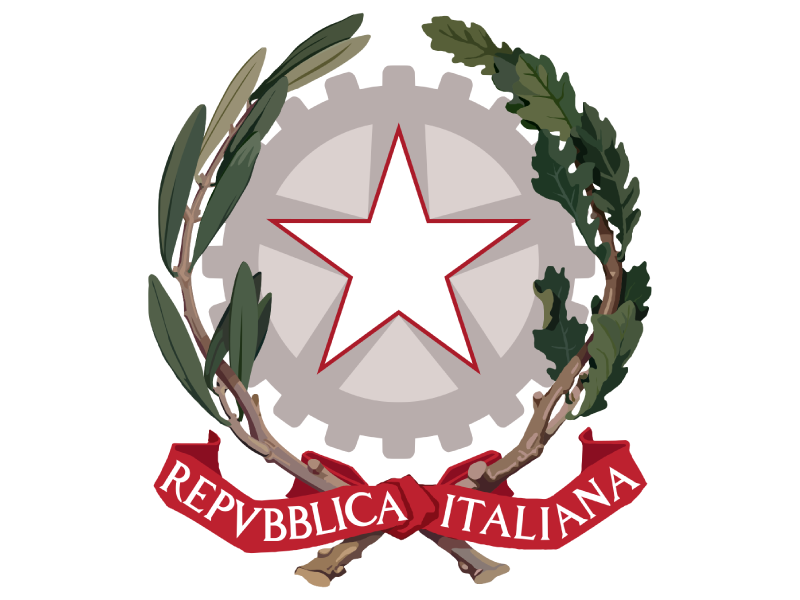 It occupies more than 44,000 of the 77,000 square kilometres of Italian plain land. It ranges in altitude from sea level up to 550 metres but most of it lies below 100 metres. The waters of the Po River and all its tributaries, together with the Reno, Adige, Piave, and Tagliamento rivers, eventually provide vital irrigation for the intensive agriculture of the fertile lower plain. Other notable plains include the Maremme of Tuscany and Lazio, the Pontine Marshes, the fertile Campania Plain around Vesuvius and the rather arid Apulian Plain. In Sicily the Plain of Catania is a good area for growing citrus fruit. There are about 1,500 lakes in Italy. Most of these are small Alpine lakes that are used for hydroelectric schemes. Other lakes, such as Bolsena and Albano in Lazio, occupy the craters of extinct volcanoes. 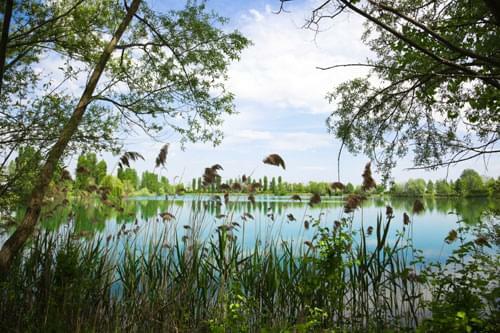 There are also coastal lagoons, such as Lakes Lesina and Varano in Puglia, and lakes resulting from prehistoric faulting, such as Lake Alleghe, near Belluno. 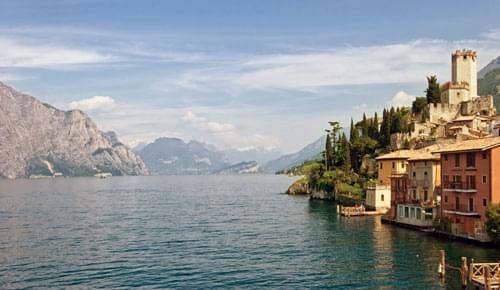 The best-known, largest, and most important of the Italian lakes are Lakes Garda, Maggiore, Como, Iseo, and Lugano. 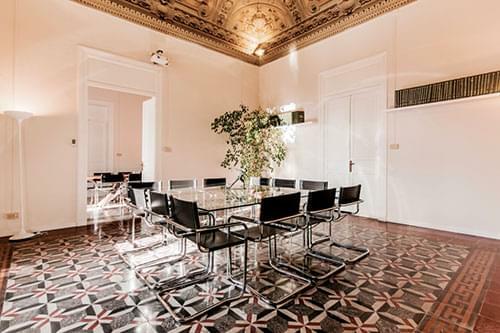 They are situated in the north of Italy around Milan. They have a semi-Mediterranean climate and are surrounded by groves of olive and citrus trees. 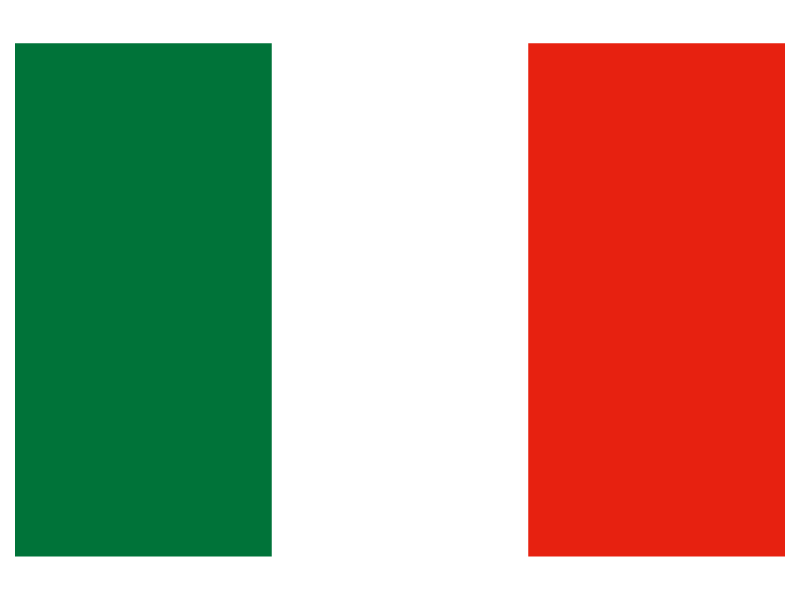 Italy also has considerable areas in which, as a result of porous rock, the water systems run underground, forming subterranean streams, sinkholes, and lakes. These are often associated with caves, the most famous of which are those of Castellana, in Puglia. 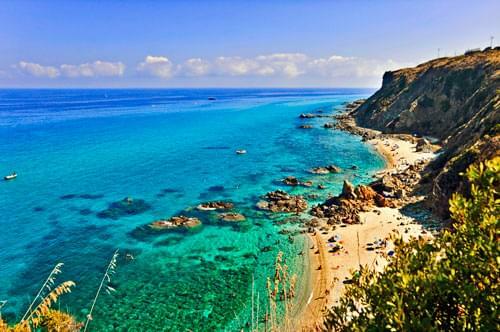 Including islands, Italy has a total coastline of 7,600 kilometres, much of which is extremely varied. Along the two Ligurian rivieras, on either side of Genoa, the coast alternates between high, rocky zones and level gravel. The most famous of the rocky areas is called Cinque Terre, running from Sestri Levante down to La Spezia. 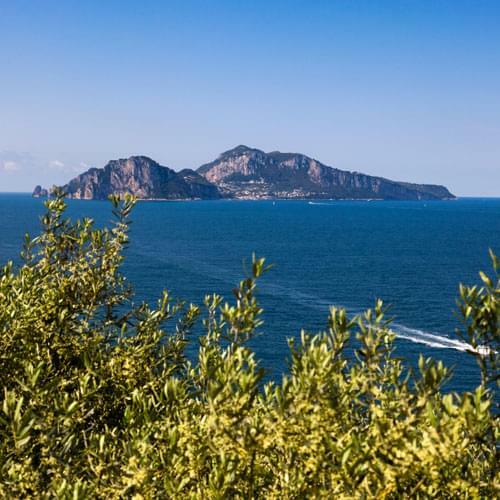 The coast southwards from Tuscany to Campania consists of long, sandy, crescent beaches mixed with walking treks and higher, more rocky stretches. The Tyrrhenian coasts of basilicata and Calabria are high and rocky, though sometimes broken by short beaches, many of them with spectacular white sand, particularly towards the south. The coast of Puglia is flat, as is most of the Adriatic coast of Italy, although it is dominated by terraced hills behind. The majestic delta of the Po River, extending from Rimini to Monfalcone, is riddled with the lagoons most famously around Venice. The Carso, the limestone coastal region between Trieste and Istria, is rocky. Italy is surrounded by sea on three sides. To the north west is the Ligurian sea, to the west and south west the Tyrrhenian sea, to the south and south east is the Ionian sea and to the east is the Adriatic sea.